As we approached Swaffham from the south, the landscape busied itself changing from the Breckland to High Norfolk. The fields rolled and climbed; secretive woodlands lorded it over the narrowing lanes, and the 21st century began to fall away. The villages turned in on themselves; away from the main roads, cars became unusual. It was the Wednesday of Holy Week. April that year was the warmest and driest on record; the air was warm, humid, still. By May, the expanses of grass would already start to be brown, but for now the world was waking up. Coming from South Pickenham a few miles off, North Pickenham seemed a return to suburbia, a large comfortable village with a proper pub. Just behind, St Andrew is hidden up a narrow alleyway - you might easily miss it. 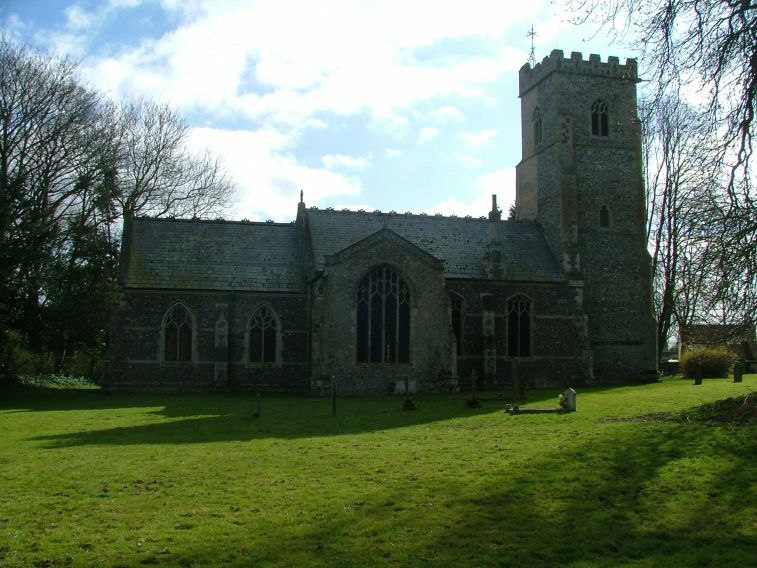 Two or three substantial houses keep the churchyard company, and St Andrew itself looks all of its almost complete rebuild of 1863. 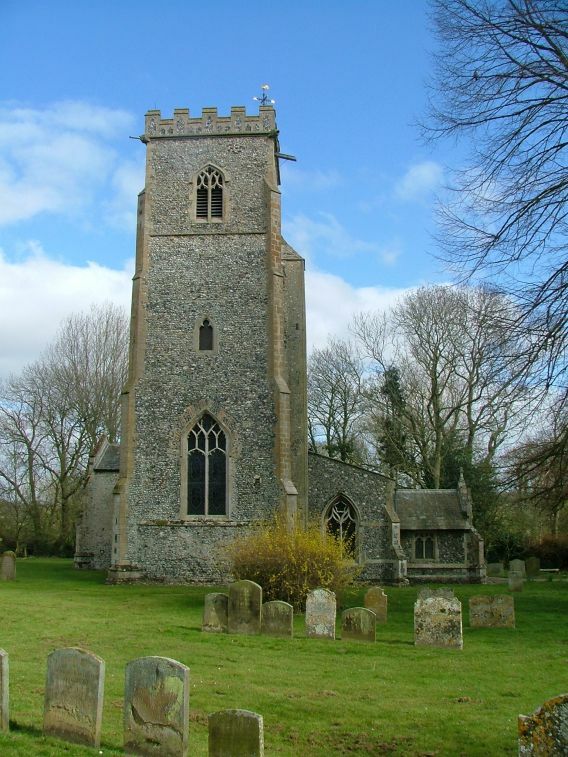 In fact, much of the 14th century tower survives, but to all intents an purposes this is a Victorian church, to such an extent that Munro Cautley, in his great 1940s survey of the medieval churches of East Anglia, does not even bother to mention it. Perhaps because of this, the church appears little-known, and indeed apart from the inhospitable fortress at Great Cressingham a few miles off, this was the only church of the day that we found to be without a keyholder notice. 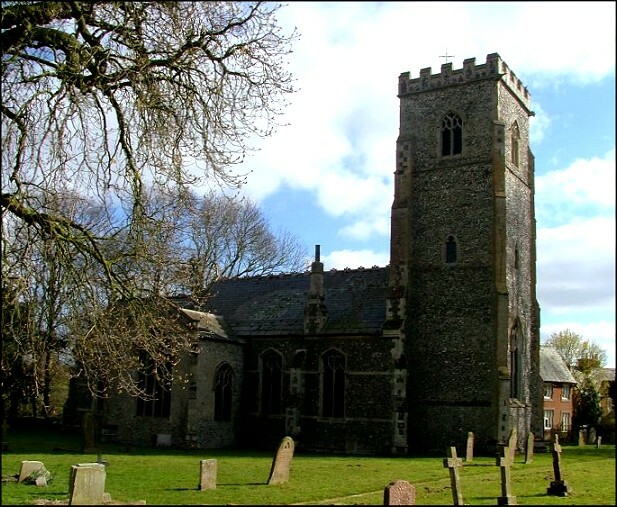 The area between Thetford and Swaffham has too many locked churches, which is unfortunate, and visiting can be a frustrating experience, especially on a weekday. As it turned out, we were able to track down keys for everywhere else where we looked for them, and even here it was not as impossible as it first appeared. 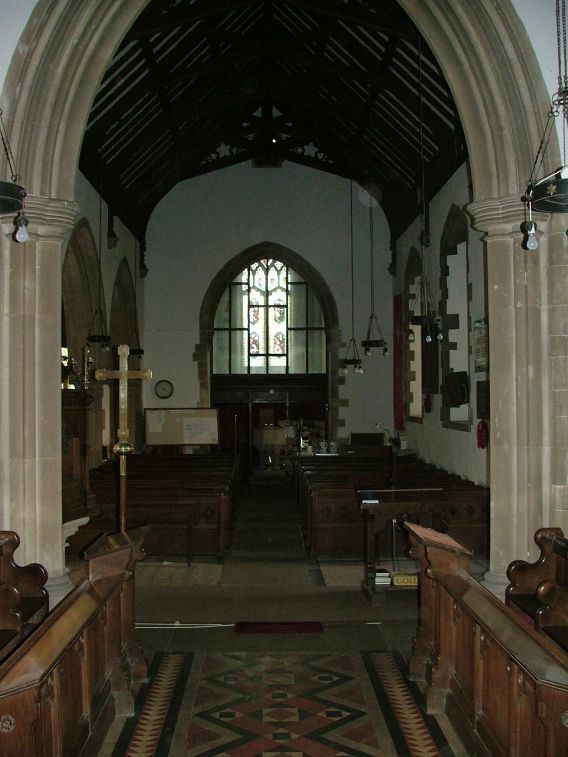 There was a notice with the churchwarden's names on, but no addresses or telephone numbers. However, there was also a list of the electoral roll, and by cross-refering to this we found an address in the High Street. 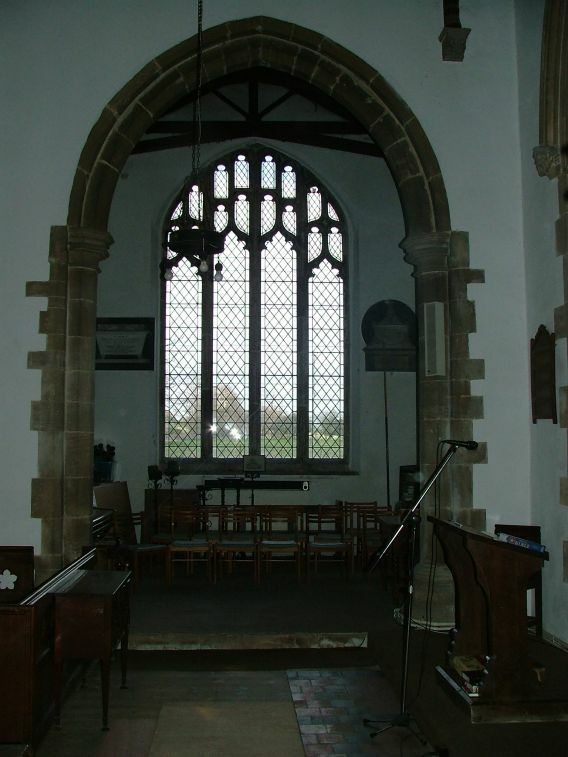 The churchwarden was very friendly, and happily gave us the key, and I wondered why there had been no proper notice; or, indeed, why the church was not kept open. 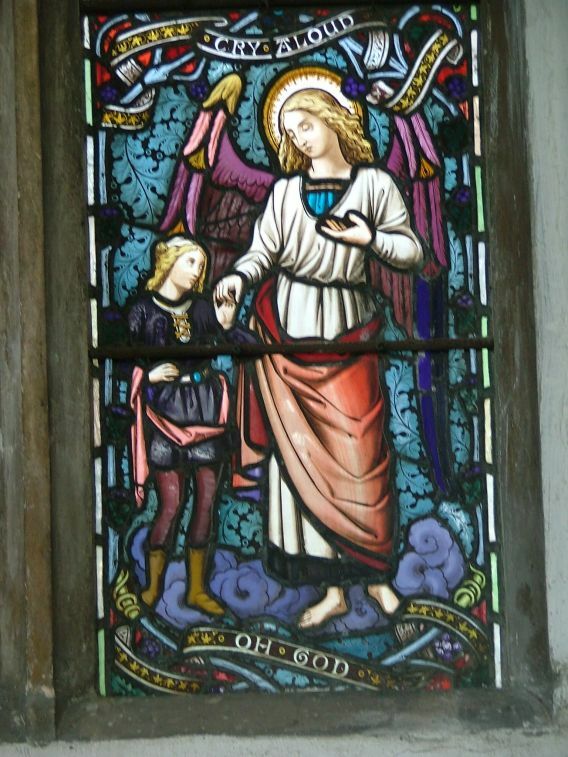 While there is little evidence of the medieval life of St Andrew, except possibly the tracery of the transept window, this a beautiful example of a quality Anglican parish church of the 1860s. 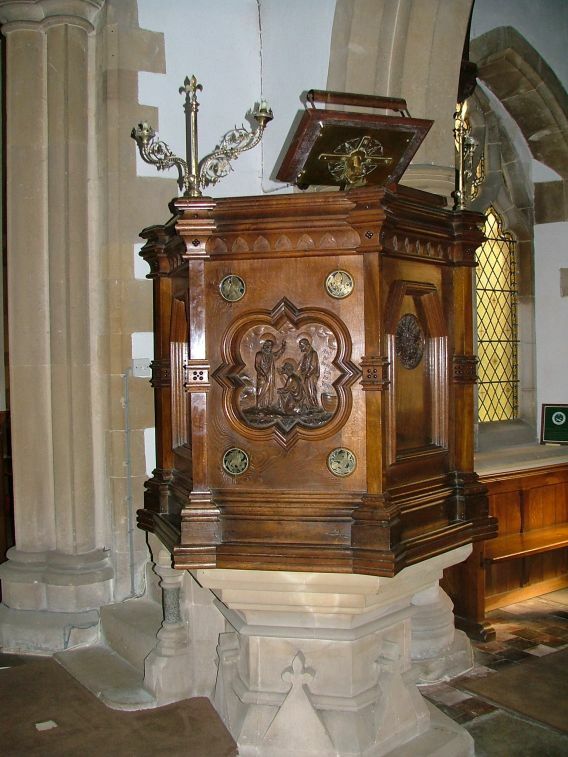 The smell of polished wood, the clean surfaces everywhere, showed that it was loved and cared for today just as much as when it was built, although it is likely that the churchmanship has come down a peg or two since those days. 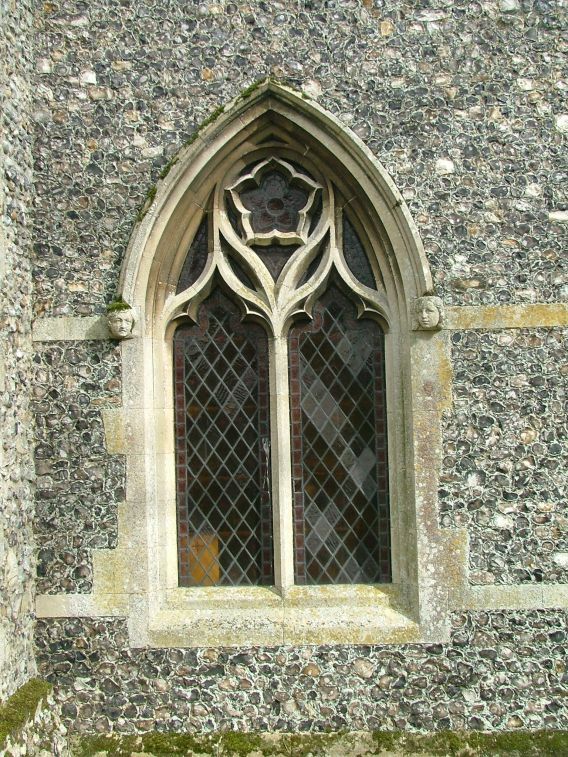 In contrast with rustic, pastoral All Saints at South Pickenham, this is a church with an air of gravitas, of money well spent, a serious church on God's earth. Everything is done well, as if someone knew the Camden Society pattern book by heart. St Andrew reminds me of churches I know on the south coast of England, churches built in the growing seaside and retirement resorts of the late 19th century, still with a sense of that old-fashioned life, a comfortable, confident urban feeling. 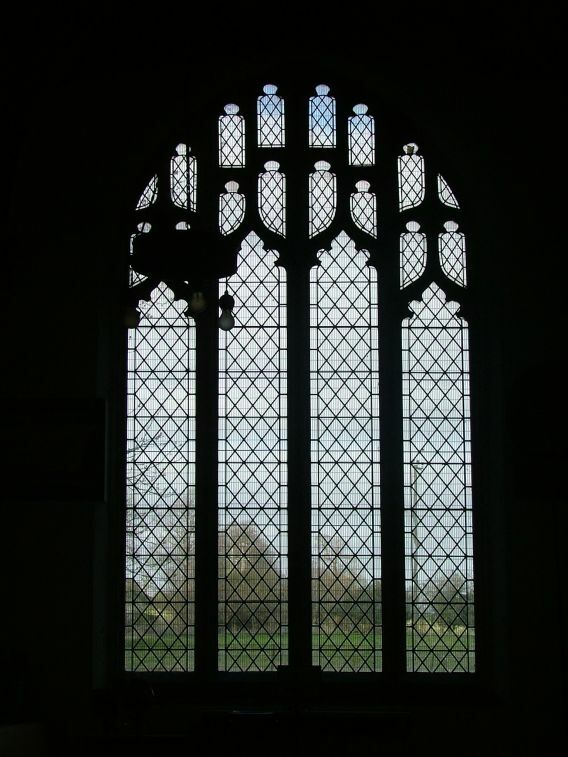 Indeed, it is with some surprise that I looked out of the clear glass of the north transept window to see Norfolk's fields and woods rolling beyond. 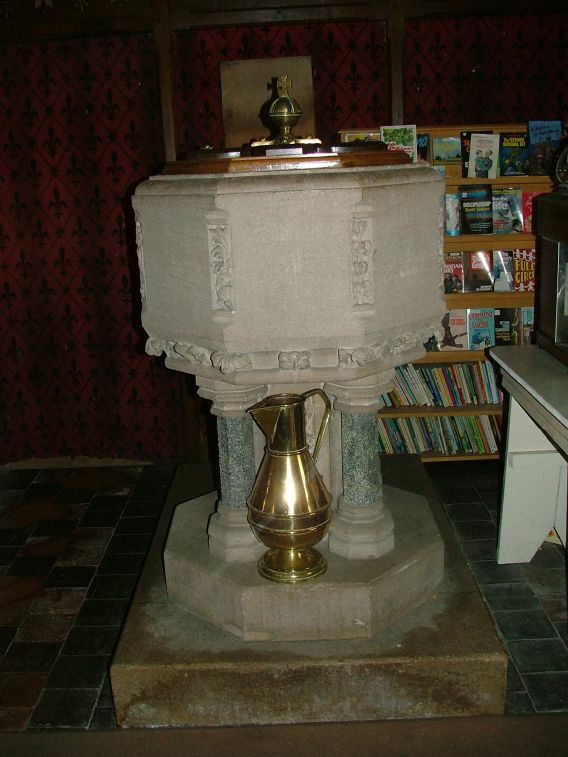 The font is a typical collonaded octagonal piece of the period, though of good quality, and typical of those displayed at the Great Exhibition a decade earlier. The pulpit is striking, inlaid with medallions of the Evangelistic symbols, but best of all is the glass. It appears to be mostly the work of the O'Connors, who were of course at the height of their powers in the 1860s. 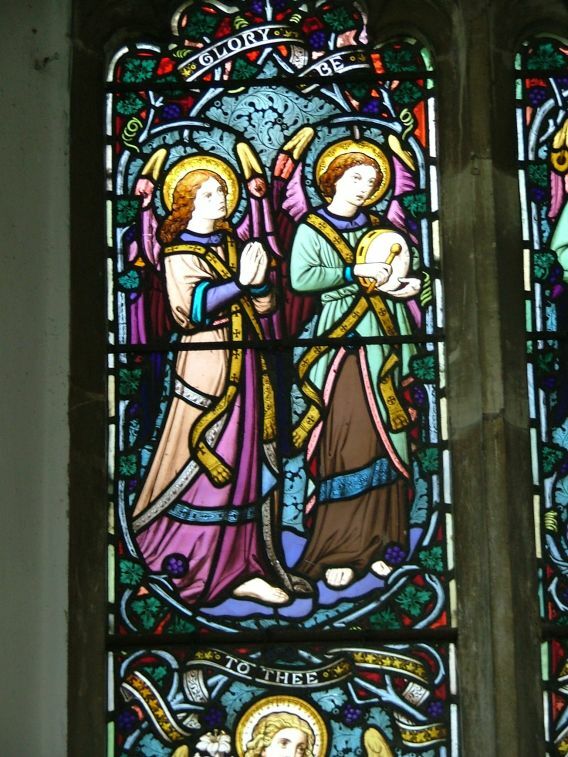 Best of all are the angels in the east window of the north transept. 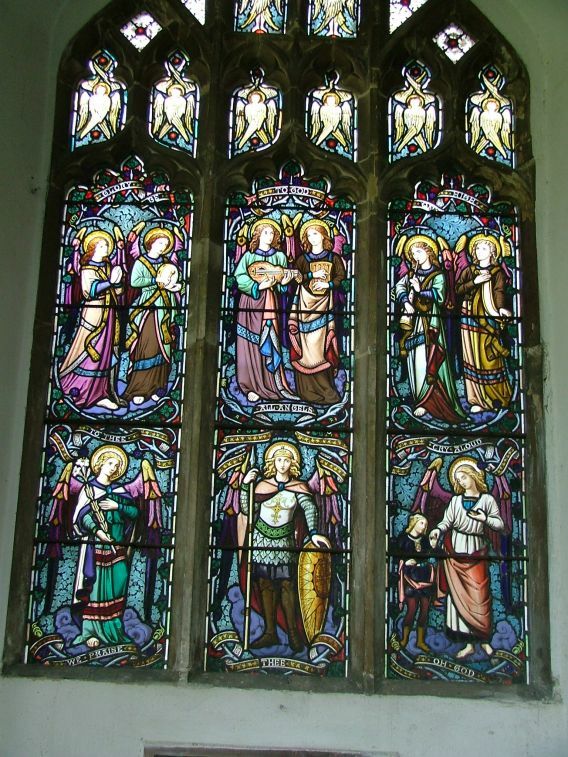 Angel musicians play above the heads of the three larger archangels, Gabriel, Raphael and Michael. 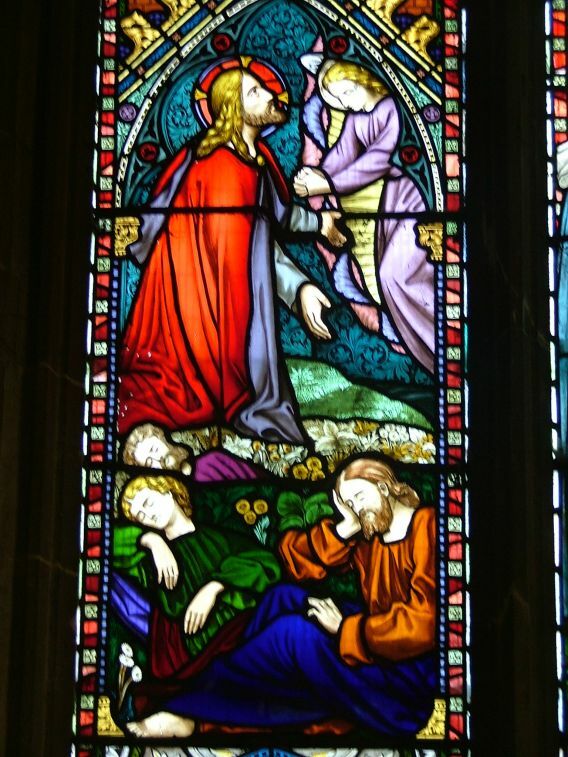 In the east window of the chancel is a super Crucifixion, with a weeping Mary Magdalene at the feet of Christ, and behind the large altar cross fixed into the top of the mosaic reredos. 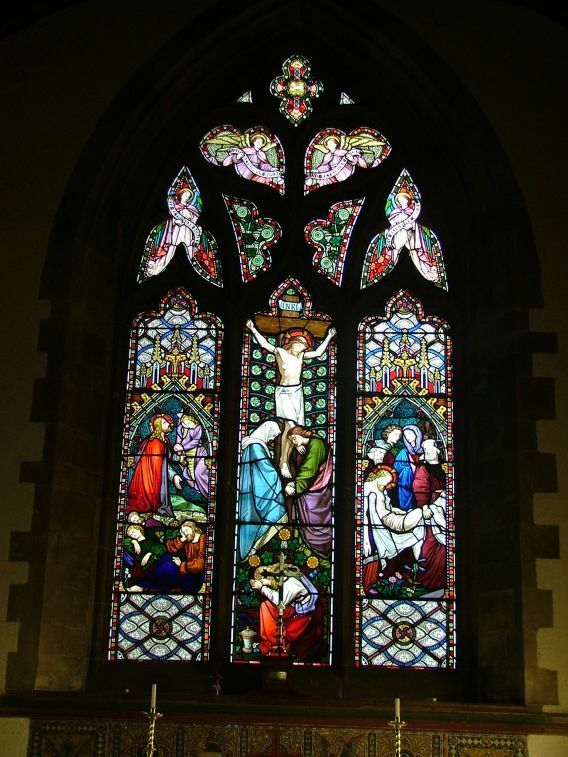 Perhaps best of all is the glass in the west window. 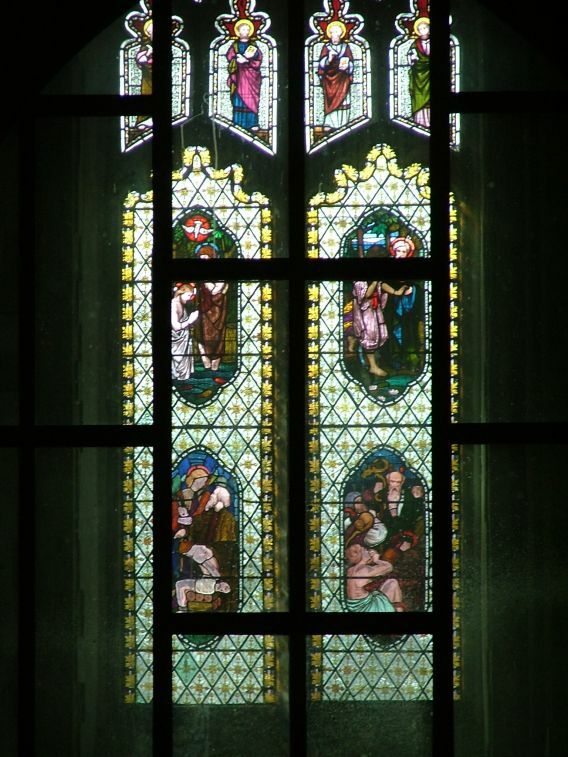 It is by William Wailes, but is now cut off from the casual visitor by the glass screen and locked door in the tower arch. It is almost impossible to photograph. 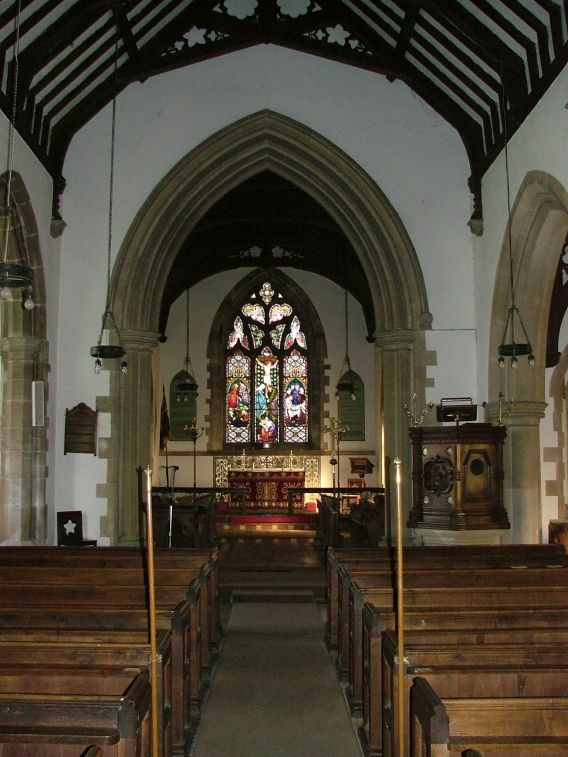 A church surprisingly full of atmosphere, albeit of a 19th century kind; a place to come and experience what the Anglican revival and full confidence of the 1860s meant to a rural parish with money to spend, and a building still full of life today.